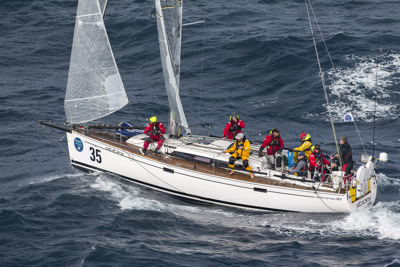 Six-year-old Sticky, at just 11.5m, is one of the smaller boats in the fleet and has competed in one Rolex Sydney Hobart Yacht Race. In 2016 she finished 28th overall on IRC, seventh in Div. 4 IRC. Competed in the 2018 PONANT Sydney Noumea Yacht Race, finishing 12th on IRC and second in her division.